Edit: Due to the fact that this article is old, the installation instructions may not work anymore. 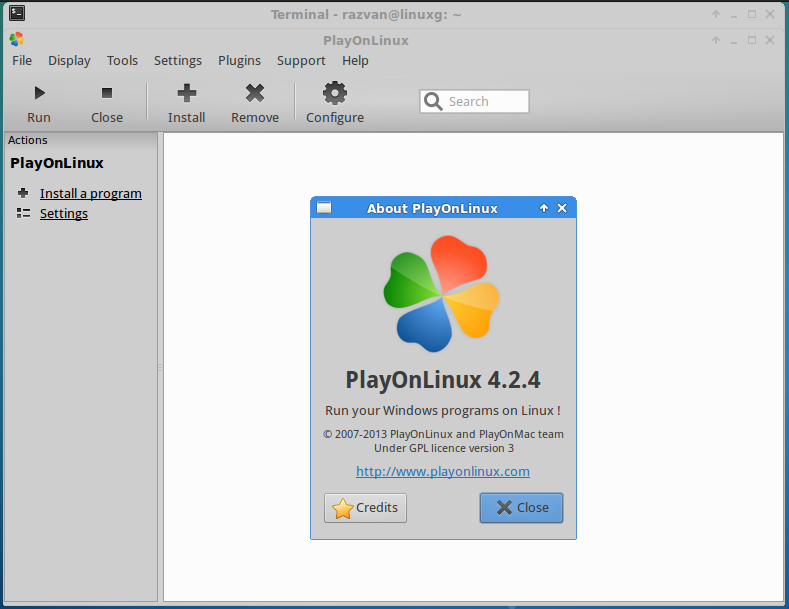 In order to successfully install the latest version of PlayOnLinux, please access the playonlinux tag and open the latest article (the one on top). Hello Linux Geeksters. As you may know, PlayOnLinux is a frontend for Wine, the popular software for running Windows applications on Linux and Mac OS X. The latest PlayOnLinux version available is PlayOnLinux 4.2.4, which has been recently released, coming with a new support and feedback system, easier to use, some links to social networks and bug-fixes. In this article I will show you how to install PlayOnLinux 4.2.4 on Ubuntu 14.04 Trusty Tahr, Ubuntu 12.04 Precise Pangolin, Linux Mint 17 Qiana, Linux Mint 13 Maya, Elementary OS 0.3 Freya, Elementary OS 0.2 Luna, Pinguy OS 14.04, Pinguy OS 12.04, LXLE 14.04, PepperminT Five, Deepin 2014 and other Ubuntu derivative systems. After the installation of wine has been done successfully, continue with the installation of PlayOnLinux 4.2.4.